OK, so we all know the world online leading smartphone database is GSMarena, currently having above 100 smartphone brands. Among this brands are mostly premium smartphone makers, and OEMs listed from other parts of the world. But take China for instance, there are so many smartphone makers in China that are not listed on GSMarena. The major reason for this, could be partly due to patent infringements, and copyright violations. Luckily for Transion owned Infinix Mobility, GSMarena has gotten it all cleared up, and have finally created a database for Infinix smartphones. Today is exactly 5 years since Infinix mobility started manufacturing smartphones. Infinix had previously focused only on the African smartphone market. 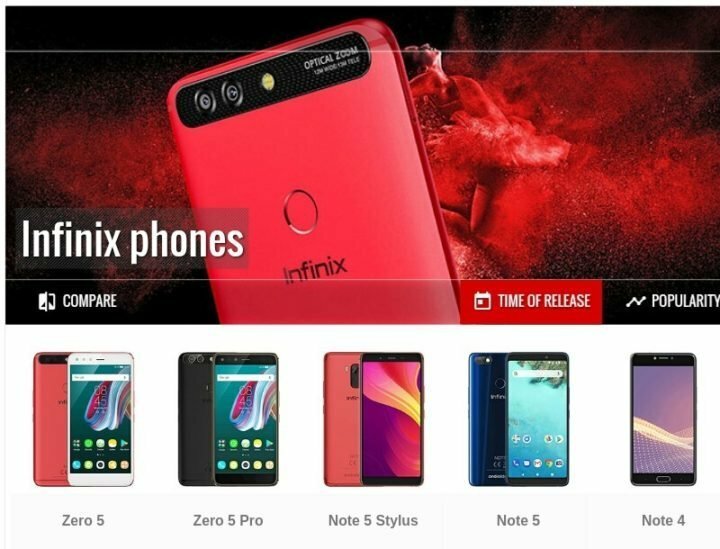 But about 3 years ago, Infinix mobility decided to to introduce her smartphone into other markets like the Asia Pacific countries, South America and North America countries, and especially India, the 2nd largest smartphone smartphone market in the world. That decision has obviously helped the company in gaining GSMarena listing. As mentioned above, GSMarena is currently the world leading phone database, this means more exposure and brand awareness for Infinix. Also, Infinix fans can now also, expect more premium and highly crafted smartphones from Infinix. 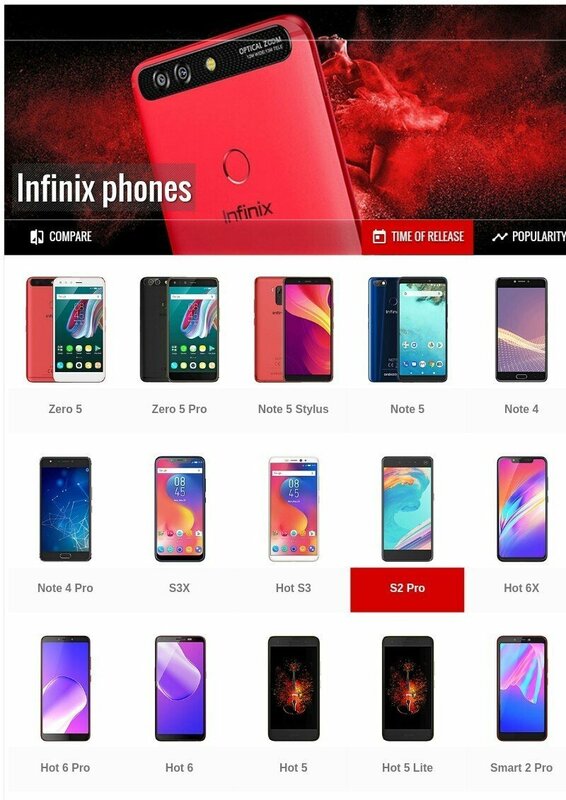 Currently, there are about 17 Infinix smartphones listed on GSMarena, among which are the Infinix Hot S3/S3X, Hot 6/6x/6 Pro, the Infinix Note 5/5 Stylus etc.